After the loss of Fort Detroit, General James Winchester became commander of what was left of the Army of the Northwest. Winchester offered William Henry Harrison, already an experienced Indian fighter, the position of Brigadier General. Harrison refused. He wanted command of the entire army. When the President learned of this, he quickly removed Winchester and on September 17, 1812 appointed Harrison commander of the Army of the Northwest. Just a few months before the war was officially declared, Columbus had just been named as the new capital that would someday be located on the east side of the Scioto River. When General Harrison arrived in Central Ohio in October of 1812, there was no question about where he would setup his headquarters: Franklinton, which was located on the west side of the Scioto at the confluence of the Scioto and Olentangy Rivers. When Harrison arrived along with over 700 men, the population of the tiny village of Franklinton was overwhelmed. Housing and supplies were in short supply. Harrison's job now was to initiate a campaign for new recruits to restore the army and map out a plan that could quickly put up defensive positions across northwest Ohio against an impending invasion. He established his recruitment headquarters in Franklinton. Here fresh recruits from Ohio, Pennsylvania and Kentucky arrived almost daily, eager to get involved. Harrison began a regimented training program of the new recruits while finalizing his plans. As these recruits were being trained, Harrison sent his initial 700 troops further west into what is today Muncie, Indiana. Here they caught a group of Miami Indians by surprise on December 17, 1812 and soundly defeated them. At that time most of Ohio was still a wilderness. A few meager roads had been built along old Indian trails, but for the most part land north and west of Columbus was flat swampy land. When travelling by car today across the long straight roads stretching mile after mile through tranquil farm lands of corn and tomatoes, it may be difficult to image that this very same land proved to an immense obstacle to navigate. It is one of the reasons that river travel and later canal travel were so vital in the development of the state in the early days. What is today farm land, was at the beginning of the 19th Century, dense woods and swamps. From Columbus north, during the hot months of summer, disease was such a problem that work was abandoned because of illnesses from mosquito borne diseases. So bad were the conditions that desertions from Harrison's army were daily. More men died from disease than died from combat. To make travel easier, Harrison ordered his men expand a well used Indian trail that ran north along the Scioto River. This road would later become SR 23. General Harrison made several bold moves. 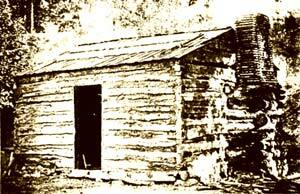 He first rebuilt Fort Defiance that had been a major asset during the Indian Wars of 1793 - 1794. Located at the confluence of the Auglaize and Maumee Rivers, Fort Defiance offered good control over the Maumee River. However, when this fort was built, the major threat came from the surrounding areas. During the War of 1812, the major threat came from Canadian troops that had massed along the northwest end of Lake Erie. This meant that Fort Defiance gave Harrison's men a staging area, but was not particularly helpful as a key point for defense of the area. Harrison believe that point was where the first set of rapids that would be encountered coming up the river from Lake Erie. It was at this point that larger naval vessels had to stop and unload. Here, very near where Perrysburg is located today, Harrison decided to build his first fort called Fort Meigs. Construction of the fort began in the later winter of 1813. The weather was cold, wet, and muddy but the men completed the massive fort in just 3 months and just in time. Fort Meigs was designed for defense and as a major supply point for the anticipated invasion of Canada. Besides its size, the insides of the fort were constructed to protect the men and supplies from bombardment. This style of construction meant that the British could set up large siege cannons and fire night and day (which they did) without doing much damage. Once completed, the fort almost immediately came under attack. On May 1, 1813, British forces came down the Maumee River and took up position across the river thus beginning a 4 day siege that ultimately ended with the British unable to move past Fort Meigs and had to withdraw when American reinforcements arrived. Once the British General Proctor withdrew his forces, General Harrison sent men further east along the Sandusky River to construct a series of forts along the Sandusky River. Like the Maumee River, the Sandusky allowed naval vessels to come in from Lake Erie where they could unload. These forts were not expected to withstand a major assault from the British, but to provide some fortification of supplies and men that could quickly be moved from one location to another as was necessary.